Batumi is known for sightseeing, parks, historic sites, wildlife areas, and fun & games. 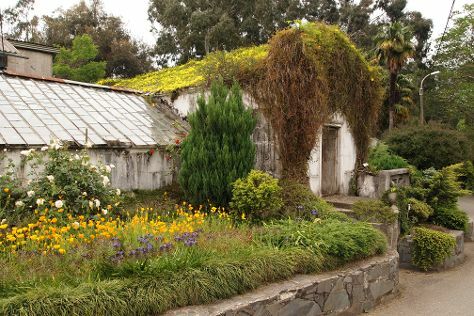 Your plan includes some of its best attractions: admire the natural beauty at Batumi Botanical Gardens, identify plant and animal life at Dolphinarium, take in panoramic vistas at Alphabetic Tower, and tour the pleasant surroundings at 6 May Park. To find other places to visit, photos, and other tourist information, use the Batumi trip generator. Barcelona, Spain to Batumi is an approximately 9-hour flight. You can also drive; or take a bus. The time zone changes from Central European Time to Georgia Time, which is usually a 3 hour difference. When traveling from Barcelona in March, plan for slightly colder days in Batumi, with highs around 15°C, while nights are about the same with lows around 7°C. Finish your sightseeing early on the 26th (Sun) so you can drive to Tbilisi. You'll find plenty of places to visit near Tbilisi: Mtskheta (Jvari Church & Svetitskhoveli Cathedral). 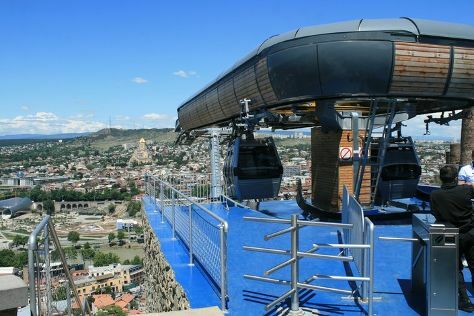 Pack the 26th (Sun) with family-friendly diversions at Aerial Tramway in Tbilisi. And it doesn't end there: contemplate the long history of Old Town (Altstadt) Tbilisi, look for gifts at Prospero's Books & Caliban's Coffee, delve into the distant past at Narikala Fortress, and take a memorable drive along Rustaveli Avenue. For where to stay, other places to visit, reviews, and more tourist information, go to the Tbilisi holiday planner. Getting from Batumi to Tbilisi by car takes about 5.5 hours. Other options: drive; or take a bus. In March, plan for daily highs up to 15°C, and evening lows to 5°C. Wrap up your sightseeing on the 30th (Thu) to allow time to travel back home.